Enjoy the BEST SNOW in years! 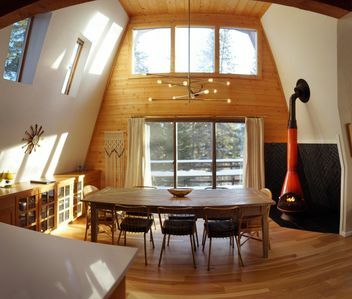 Spacious condo. Walk-to location. Super CLEAN. 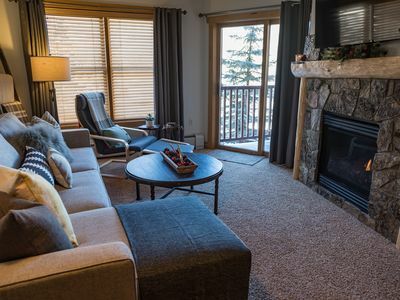 My Frostfire, 3 bedroom,3 bath, 1650 square foot, 2 fireplace, Non-Smoking, fully equipped condo is located at Keystone, within walking distance (7-8 minutes) to the Argentine and Peru ski lifts. 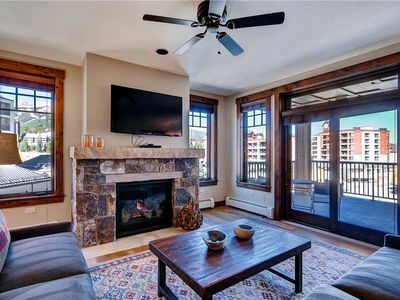 This bright, sun-filled condo has mountain views from every room. 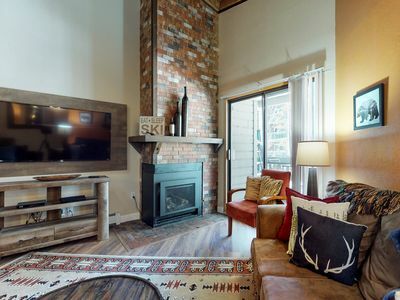 Mattresses were new in winter 2016 and flat screen TVs added in 2018. 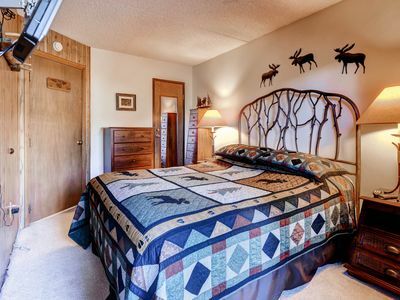 The Snake River and its Wetlands, with ducks, beaver, and even a moose can be viewed from the living room, kitchen, and two bedrooms. 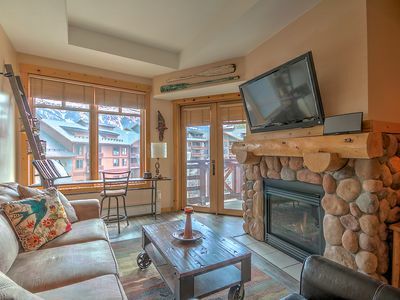 The Frostfire complex is equipped with free high speed wireless internet. 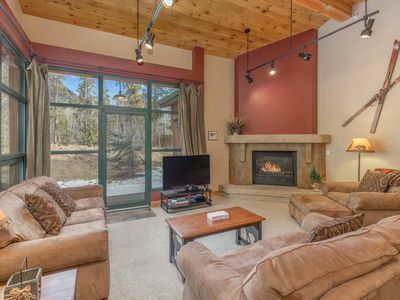 Amenities include well equipped granite kitchen, and 3 large baths - 2 are en suite - Jacuzzi tub and a steam shower. Third full bath is off the hall. 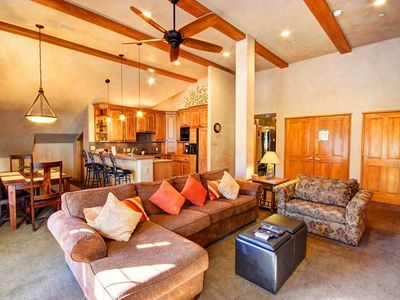 The MBR has a king bed and fireplace, second suite BR has a queen bed and private bath, third BR has a pair of twin beds, and the living room has a queen sleeper sofa. 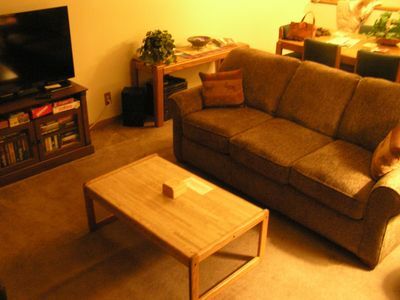 Flat screen TVs are in LR and all 3 BRs. 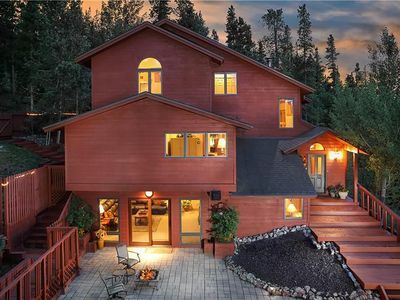 The view of the ski terrain, especially the lighted night skiing trails, is spectacular. The hiking/biking trail is just outside the door for summer activities. Easy 15 min. walk to the Gondola base for evening activities. 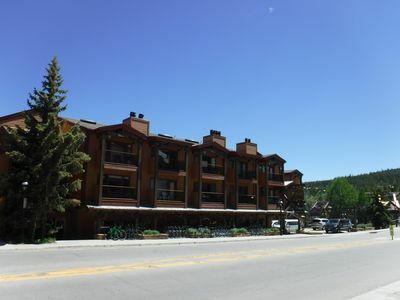 Frostfire is within walking distance to rental shops, restaurants, and stores. There are two outside private hot tubs available to Frostfire owners and guests. Relax and rejuvenate those happy, sore muscles at the end of each day in our Jacuzzi tub, steam shower, or the outside hot tubs. Frostfire is in a very unique location: quiet because it is nestled next to the wetlands and still convenient for walking places.About 10 minutes to River Run Village to enjoy some nightlife without driving. 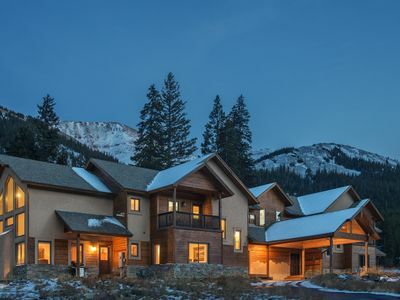 Summit County offers an average of 300+/yr. bright sunny days and crystal clear air to enjoy all the outdoor activities that you enjoy or have a desire to learn. 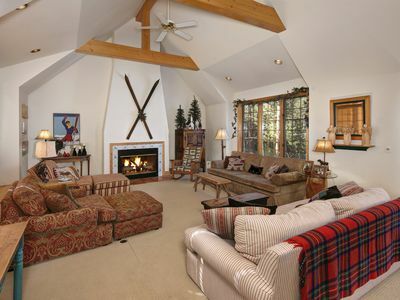 You will find cross country and downhill skiing, snowmobiling, ice skating, sleighrides, and tubing. In summer, hiking, biking, rafting, horseback riding and day trips to historical/cultural sites can fill your days. Summer KIDTOPIA activities are a huge hit. 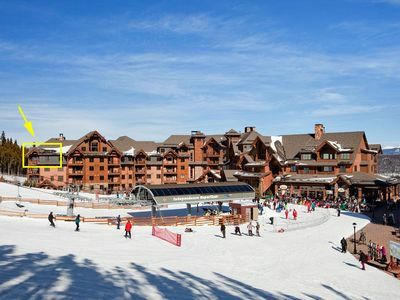 And the Keystone winter KIDTOPIA ski school/day care gives parents a safe, worry free environment to bring their children while they catch some adult recreation. 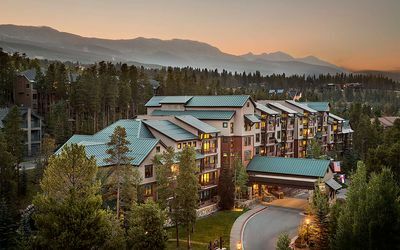 And don't forget the Silverthorne OUTLET MALL !! 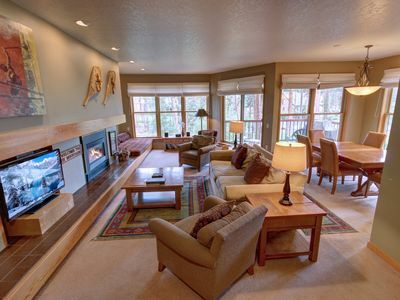 Don't think you can't enjoy Summit country if you don't ski or ride a dirt bike! More and more stores continue to be added each year. Something for everyone! 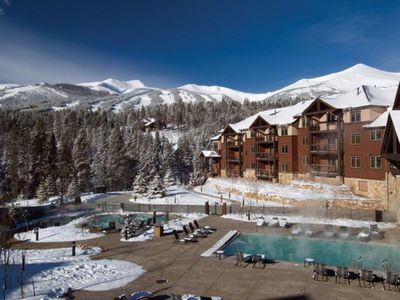 In addition to the Keystone ski area, Loveland, Vail, Breckenridge, Copper Mountain, and A-Basin Resorts are nearby. Quaint Georgetown is a 30 min. car ride. Perfect for a lunch road trip. Massive Lake Dillon is the center anchor of Summit County. It's dotted with sailboats in the summer and ice covered in the winter. Surronded by mountains, it is a specail sight. 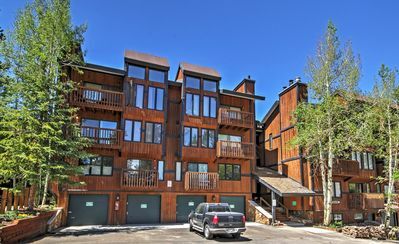 Pinnacle Lodge-6 BR-True Slopeside Ski-in/Out! 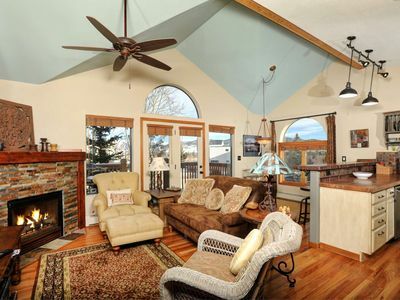 Goldflake Chalet exudes warmth and charm, located in the heart of Breckenridge. 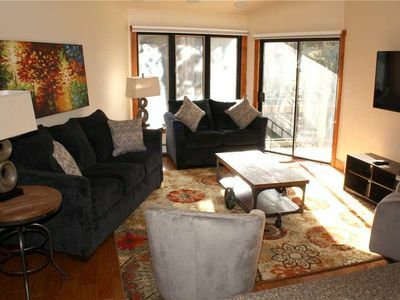 Lofty condo w/ shared pool/hot tub/game room, private balcony & gas fireplace!